In this paper, a new adaptive hierarchical sliding mode control scheme for a 3D overhead crane system is proposed. A controller is first designed by the use of a hierarchical structure of two first-order sliding surfaces represented by two actuated and un-actuated subsystems in the bridge crane. Parameters of the controller are then intelligently estimated, where uncertain parameters due to disturbances in the 3D overhead crane dynamic model are proposed to be represented by radial basis function networks whose weights are derived from a Lyapunov function. The proposed approach allows the crane system to be robust under uncertainty conditions in which some uncertain and unknown parameters are highly difficult to determine. Moreover, stability of the sliding surfaces is proved to be guaranteed. Effectiveness of the proposed approach is then demonstrated by implementing the algorithm in both synthetic and real-life systems, where the results obtained by our method are highly promising. Viet-Anh Le is currently an undergraduate student at Department of Automatic Control, Hanoi University of Science and Technology, Vietnam. His research interests include non-linear adaptive control for under-actuated systems, fuzzy logic inference and neural network, micro-controller and applications. Hai-Xuan Le received the Ph. D. degree in automatic control from Hanoi University of Science and Technology (HUST), Vietnam in 2019. He is currently a researcher at Department of Automatic Control, HUST. His research interests include non-linear adaptive control for under-actuated Systems, fuzzy logic inference and neural network, programmable logic controller in industry. Linh Nguyen received the Ph. D. degree in robotics from University of Technology Sydney (UTS), Australia in 2015. He then worked at the same university as a post-doctoral research associate until September 2015. From January to July 2016, he was as research fellow at School of Electrical and Electronic Engineering, Nanyang Technological University, Singapore. He rejoined the Centre for Autonomous Systems at UTS, Australia in August 2016, where he is currently a research fellow. His research interests include robotics, internet of robotic things, adaptive sampling, artificial intelligence, machine learning, signal processing, embedded systems and non-destructive testing. Minh-Xuan Phan received the B. Sc. and Ph. D. degrees in automatic control from Ilmenau University of Technology, Germany in 1975 and 1989, respectively. She is currently a professor at Department of Automatic Control, Hanoi University of Science and Technology, Vietnam. Her research interests include optimal and adaptive control, fuzzy logic inference and neural network. N. Sun, T. Yang, H. Chen, Y. C. Fang, Y. Z. Qian. Adaptive anti-swing and positioning control for 4-DOF rotary cranes subject to uncertain/unknown parameters with hardware experiments. IEEE Transactions on Systems, Man, and Cybernetics: Systems, to be published. DOI: https://doi.org/10.1109/TSMC.2017.2765183. N. Sun, T. Yang, Y. C. Fang, Y. M. Wu, H. Chen. Transportation control of double-pendulum cranes with a nonlinear quasi-PID scheme: Desggn and experiments. IEEE Transactions on Systems, Man, and Cybernetics: Systems, published online. DOI: https://doi.org/10.1109/TSMC.2018.2871627. Y. Tao, J. Q. Zheng, Y. C. Lin. 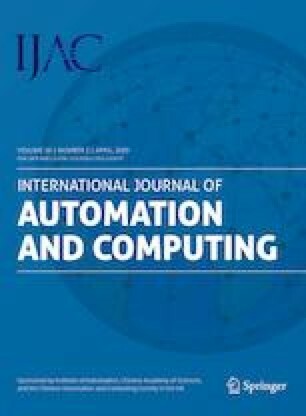 A sliding mode control-based on a RBF neural network for deburring industry robotic systems. International Journal of Advanced Robotic Systems, vol. 13, no. 1, Article number 8, 2016. DOI: https://doi.org/10.5772/62002. DOI: https://doi.org/10.5772/62002.